The Leo release is next in line, also targeted for Spring 2014, and will further bolster the customer service suite with new customer care functionality as well as future additions from the Parature acquisition. 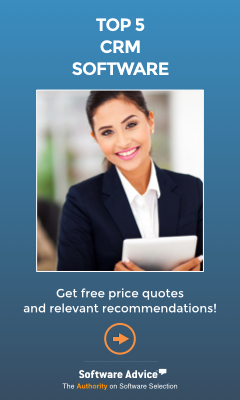 The primary enhancement is a new Unified Service Desk which includes a composite framework to integrate CRM with the plethora of legacy systems contact center agents just can’t get away from. The Leo release also includes more advanced case management functionality, new case hierarchies (parent/child case relationships), a new entitlements entity (which will replace the existing Contract entity), improved escalation and what the company now calls "enterprise-grade queuing." The Unified Service Desk will also eventually work closely with IP delivered from the Parature acquisition, including strong web-based customer self-service technology and web chat and integration with the call center for cases which need to escalate across social and mobile channels. The solution enables users to opt for self-service via a support portal or engage their brand using Facebook, Twitter, Web chat or video. 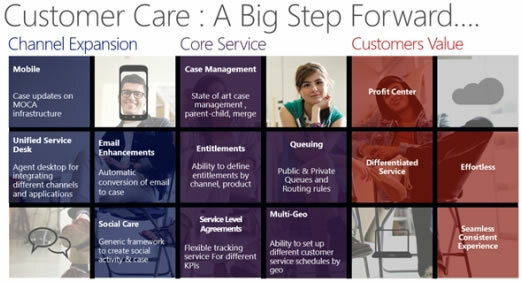 With the Parature addition, Dynamics CRM customer service increases its multi-channel capabilities, but doesn’t yet really achieve omni-channel communications which must include the ability to maintain conversation fidelity through intermittent starts and stops and across channels (i.e. bookmarking the consumer dialogue so that it is easily resumed when the conversation continues at a later time). 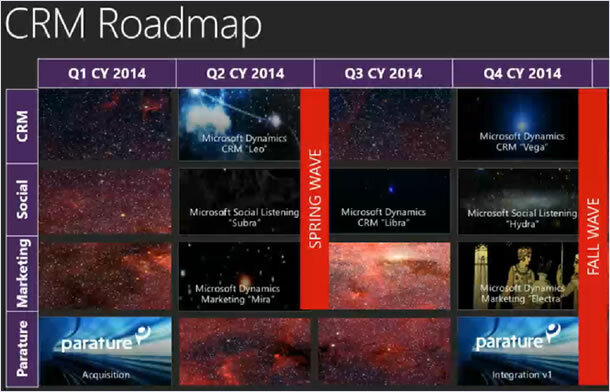 Looking ahead, the below slide shares some of what's coming next. Microsoft has shared an impressive eight releases planned over the next four quarters. It’s probably no coincidence that Microsoft’s CRM releases of Customer Care, Dynamics Marketing and Social Listening map quite closely to Salesforce.com’s Service Cloud, Marketing Cloud (ExactTarget and Pardot) and Social.com (Radian 6 and Buddy Media). While these two rivals are on the same trajectory, they’re going about it quite differently – each emphasizing different strengths in the apps. Also, while Salesforce.com clearly has a head start, Microsoft seems to be making up lost ground. Delivering three code sets – Mira, Subra and Leo – all in the second calendar quarter is a major step up in release cadence. I find it interesting that while Salesforce.com’s annual releases have slowed considerably (Salesforce1 anybody? yawn …), Microsoft has accelerated its CRM delivery pace while at the same time stepped up the value of the enhancements. Perhaps change is in the air for CRM market leadership as well. I find it interesting that while Salesforce.com’s annual releases have slowed considerably (Salesforce1 anybody? yawn …), Microsoft has accelerated its CRM delivery pace while at the same time stepped up the value of the enhancements.